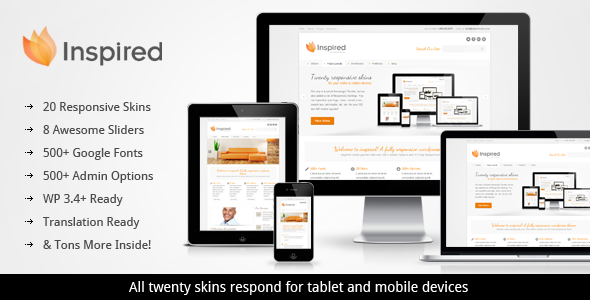 Inspired is a responsive wordpress theme that comes packed with twenty flexible skins! 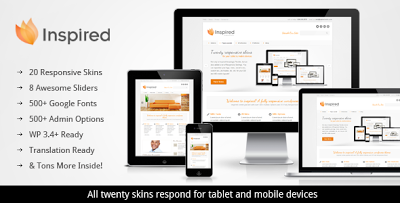 Setup your site in no time flat with the User Friendly Admin Panel which comes with 500+ Options. You can skin virtually every font, color, and image used throughout the theme with easy to use color pickers and number slides. We also poured hours of development into the blog, portfolio, and team post types, giving you TONS of options, so you are in full control of your posts.